Newsroom - Landtran Logistics Inc.
Landtran Logistics Inc. in conjunction with all other Landtran divisions will be entering into a 4 month pilot project with LYTX for Drive Cams installed in 10 of our Highway and City units. 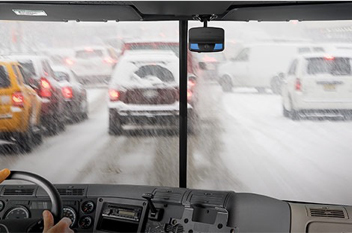 Lytx ActiveVision service is one of the only real-time fleet safety solutions that can help detect the subtle signs of distracted and drowsy driving. When you pair the ActiveVision service with the Lytx DriveCam safety program, you get the industry's most comprehensive video-based safety coaching solution. Distracted and drowsy driving are the top causes of preventable accidents, and among the most difficult to detect. When paired with the Lytx DriveCam program, the Lytx ActiveVision service is a unique real-time fleet safety solution able to detect distracted and drowsy driving, so you can take action before collisions happen. Landtran Logistics Inc. is Committed to Safety and Operational Efficiency. We believe that this program will be beneficial to for all parties involved. LandtranTL Open House in Acheson, AB is Sept 11-12 from 11am-2pm.